Mission: PROFACTOR has developed into a leading centre of applied production research. 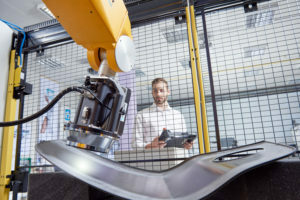 The company’s core competencies focus primarily on industrial assistance systems and micro- and nano-scale additive manufacturing. PROFACTOR develops assistance systems that work together with humans in ways that are safe, intelligent and straightforward. Special emphasis is placed on the combination of additive manufacturing and the functionalization of surfaces that determine the quality and functions of components. 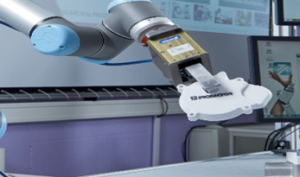 PROFACTOR has achieved numerous developments relating to flexible and adaptive inspection robots, virtual assistance for assembly, 3D modelling, production control and planning, and the nanostructuring of surfaces. Vision: The research of PROFACTOR anticipates the challenges that the domestic industry will face in the up-coming decades. The resulting developments reflect the state of the art in the technologies. PROFACTOR concentrates on solutions for eleven topics: machine vision; perception and projection; flexible robotic; heat flow-thermography; simulation and data based system analysis; rapid prototyping and rapid tooling; nano/micro-structures; functional/decorative surfaces; coatings; measurements; technology-consulting.